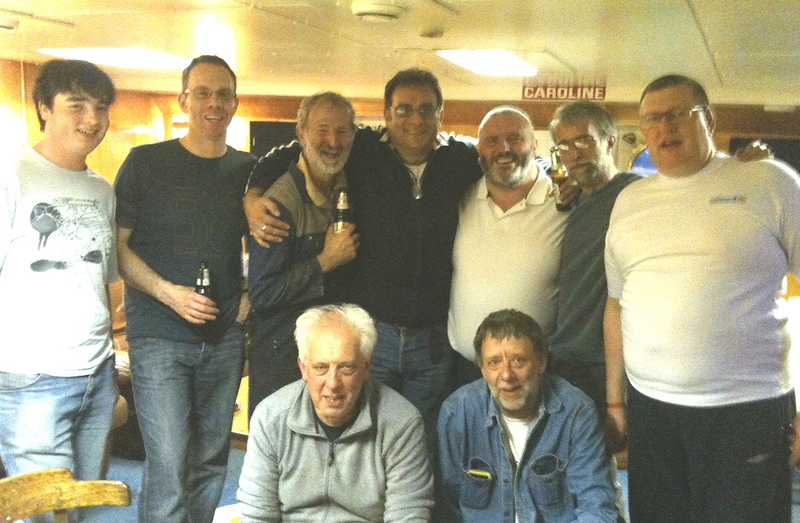 The crew of the Ross Revenge on Thursday evening, April 28th. Click on the picture for a larger version. 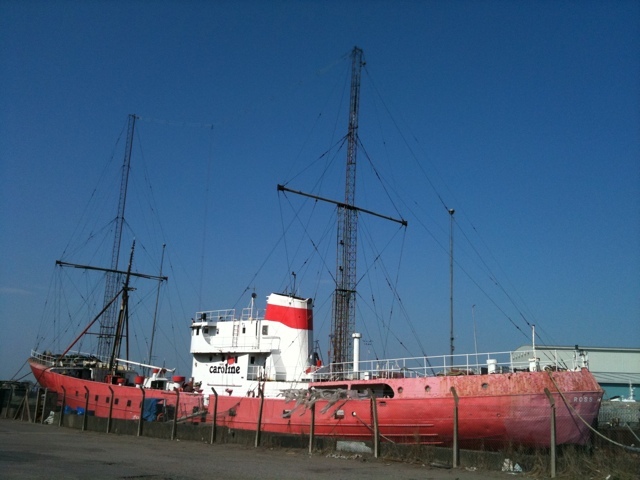 Having a great time here on board the Radio Caroline ship Ross Revenge at Tilbury. Was great to be on air last night, and had emails coming in from as far away as Alaska and San Paulo. So many people enjoying the music. Below are some images from my first 36 hours on board. 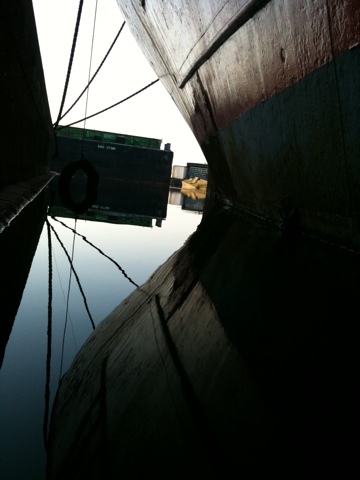 I’m uploading these from my phone via the wordpress app, which won’t let me individually captioning pictures, but they include dockside reflections, the ship at night, Dave Foster on air, and a huge ferry that has joined us this morning. It’s a beautiful morning here in Tilbury Port, and the Ross Revenge has come alive with the sound of scurrying feet, music, and banter. 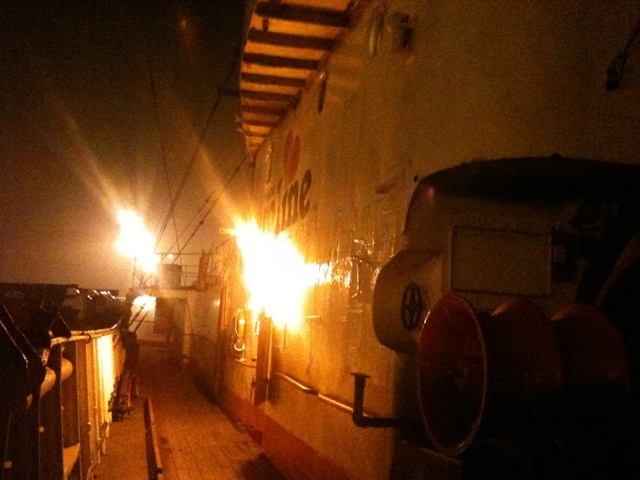 The ship truly wakes up from slumber when it is beaming live programmes. And the station has an extra sparkle and intimacy when we are all cooped up together on the ship, which acts, I think, like a magnifier on the emotions and passions of those on board, especially the passion for music . . and good radio! 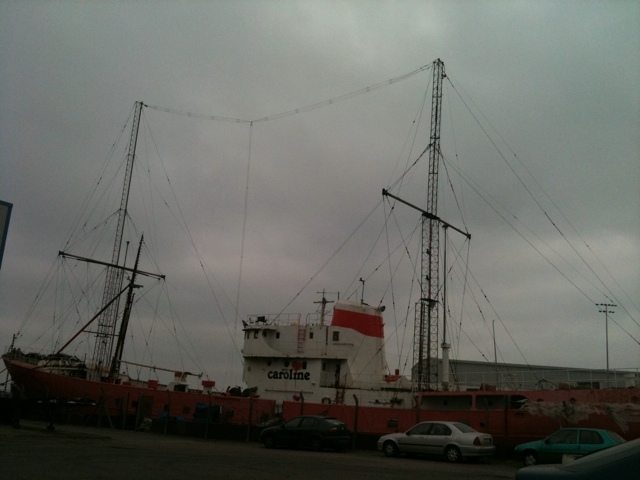 Catch Radio Caroline on Sky ch 0199 on UPC cable in Ireland and on 531khz AM in Kent and Essex. 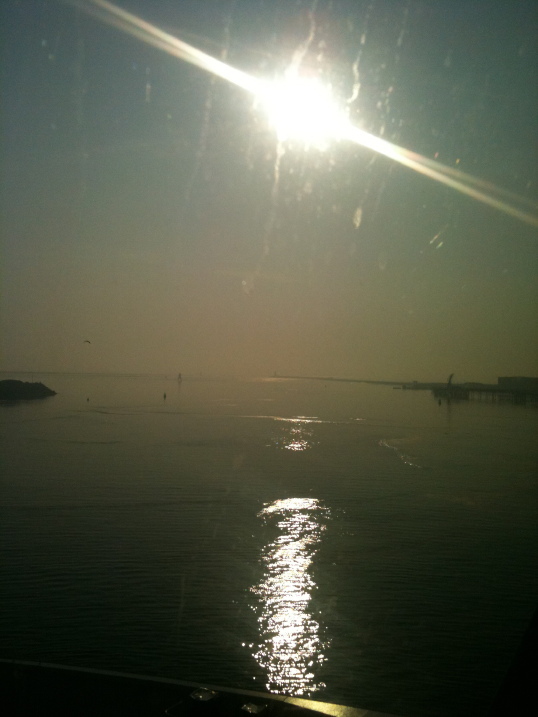 Living The New Riders . .
I’m sailing east across the Irish Sea on a lovely calm day into brilliant sunlight. The words of the New Riders of The Purple Sage song “On My Way Back Home” never seemed more appropriate. It’s days like these that make a life. 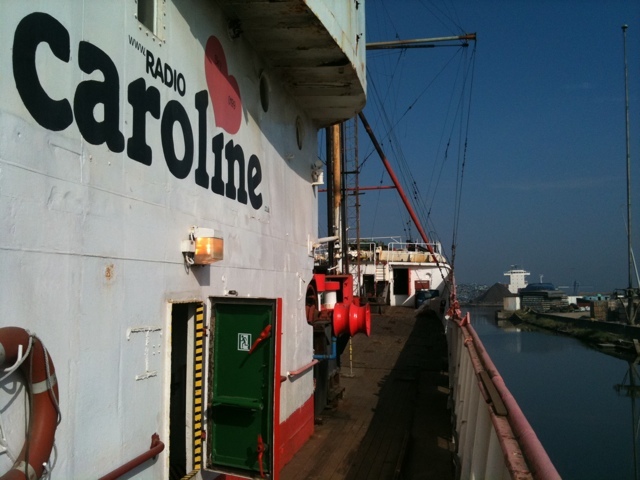 I’m sailing from Dublin Port this morning and then driving south through Wales and England with the ultimate destination of Tilbury Port, which will be my home for the next week on board my old home, the Radio Caroline ship Ross Revenge. 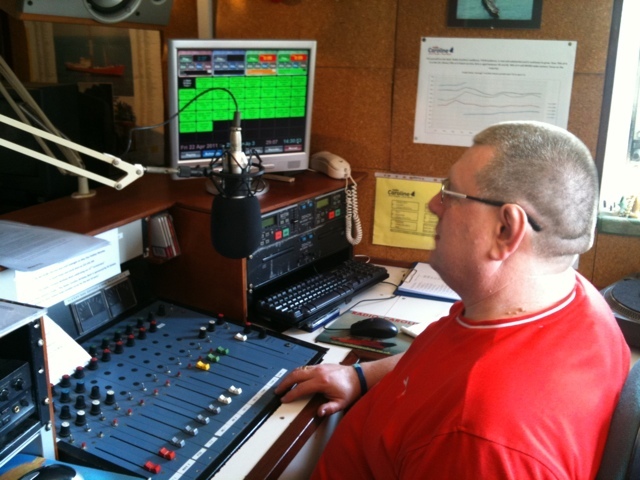 Live programming from the ship every day from tomorrow (Good Friday) on 531khz AM and relayed on the usual Sky Digital 0199 and UPC cable channels. The ferry is teeming with holidaymakers heading to the UK. 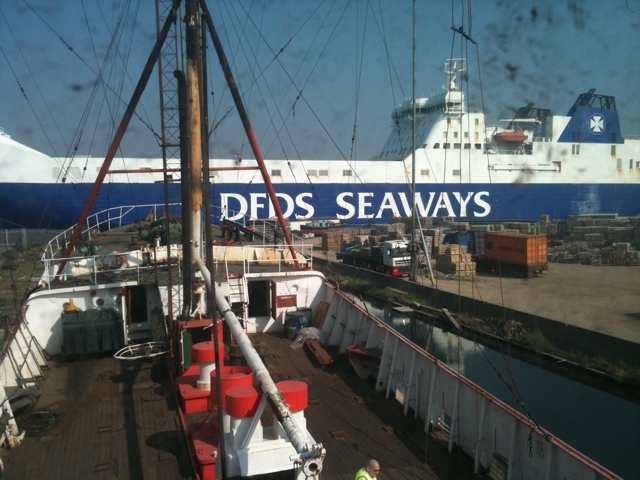 Would bet that not many of them spending Easter in a container port though! My next show: tomorrow (Good Friday) 9pm to midnight. 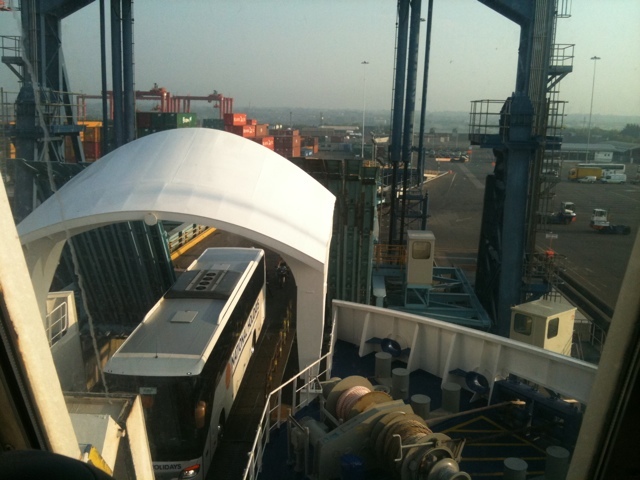 Photo: Dublin Port, from my front row seat on the ferry Stena Adventurer..